The UO Museum of Natural and Cultural History has brewed up a unique event designed to engage the community in a conversation about climate. 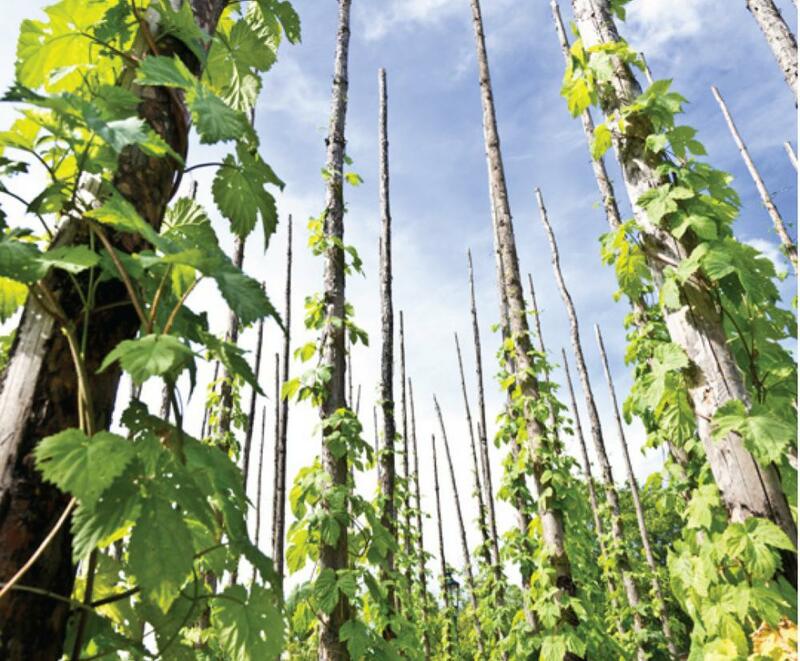 On Feb. 26, the museum will host “Craft Beer + Climate,” a beer tasting, dinner and talk featuring Oregon State University hops expert Shaun Townsend. A specialist in hops breeding and genetics, Townsend leads the aroma hop breeding program at OSU, where he works to develop cultivars that thrive in Oregon’s climate. Cosponsored by Claim 52 Brewing, Falling Sky Brewing, Newman’s Fish Company and Sam Bond’s Brewing Co., the event will begin with appetizers and local craft beer tastings, followed by Townsend’s talk on the relationships between climate and hops production in the Willamette Valley. The event will include a three-course dinner inspired by — and paired with — beers by Claim 52, Falling Sky and Sam Bond’s Brewing. “Craft Beer + Climate” will take place from 5 p.m. to 8 p.m. in the Lee Barlow Giustina Ballroom, Ford Alumni Center, 1720 E. 13th Ave. Seating is limited. Advance reservations are required. The deadline is Feb. 18. Tickets are $45 for museum members and $55 for the public. The $55 ticket includes a one-year membership to the museum. Tables for eight are available for $400 and include one-year memberships for each of the table’s nonmember guests. For more information or to purchase tickets, visit http://natural-history.uoregon.edu/, email judip@uoregon.edu, or call 541-346-1671.